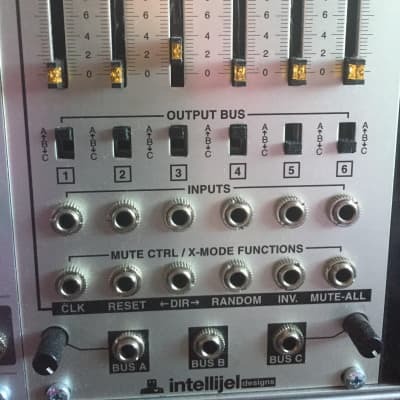 6 channel cv/audio mixer with 3 bus outputs and full digital control of muting patterns. -6 led linear sliders for input attenuation control (leds can be easily replaced with other colors, they just slide out). -6 three way bus routing switches. -2 linear master output level controls. -header to normal hexvca output to the 6 inputs (same as mutagen). 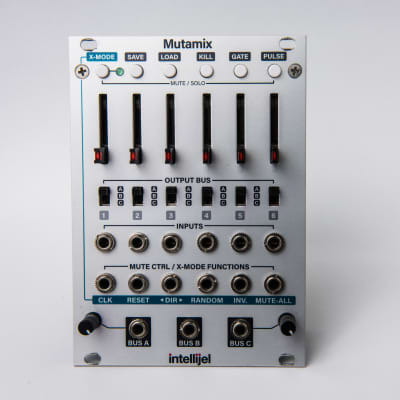 Using the external control of muting presets via X-mode turns the Mutamix into a hybrid between a mixer and a sequencer. 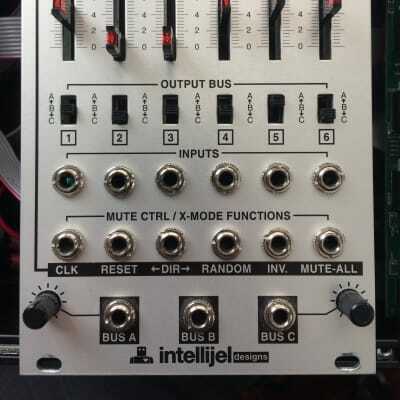 To learn more about X-mode you should read the manual available on the Intellijel site.